My office is located across from the Public Library of Brookline on Washington St. in Brookline Village. It is near the Brookline Village stop on the D Line of the MBTA Green Line. From the D Line, get off at Brookline Village, and walk a short distance west to Washington St. Go North on Washington St., keeping left as Harvard Ave. immediately splits off to the right. 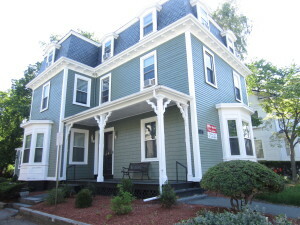 Head north to 370 Washington St. My office is on the third floor, Suite 11. Parking is available immediately in front of the building. There are a limited number of spaces, but street parking is also available.